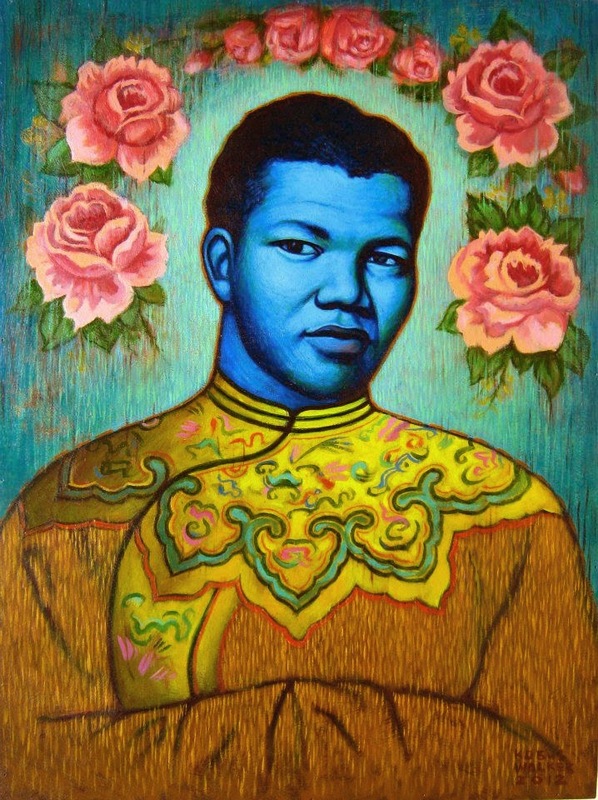 The image to the left is a new creation by a South African artist Kobus Walker. 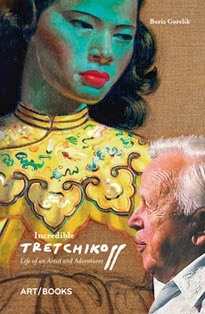 And to the right is his inspiration, Tretchi's Miss Wong. 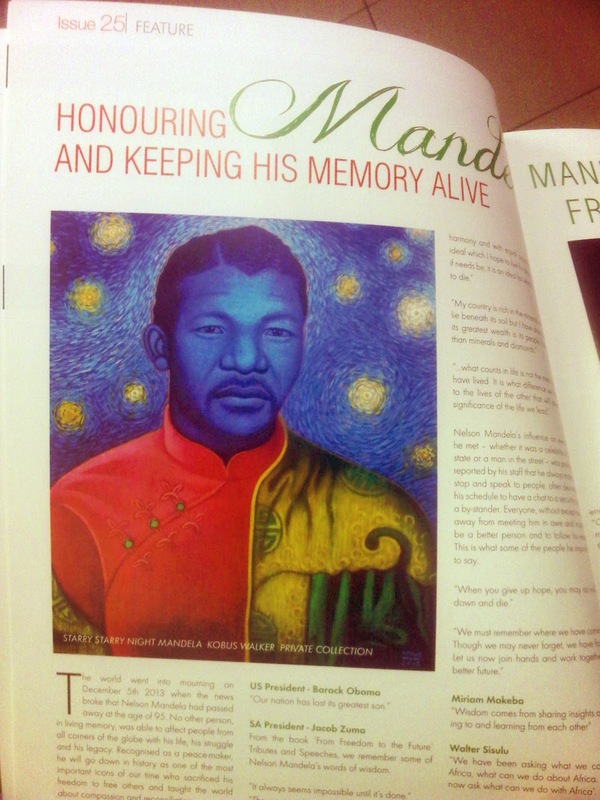 Walker calls his picture Starry Starry Night Mandela. It appeared on the cover of the current issue of the Collector magazine (Johannesburg). 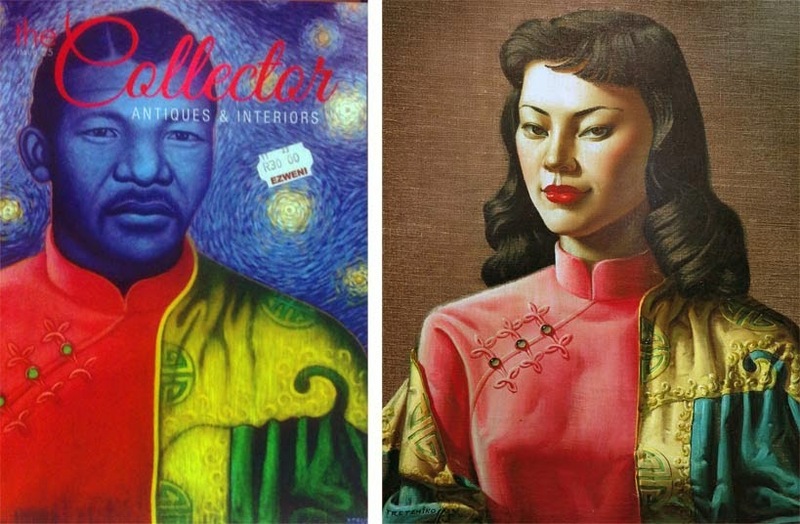 I wonder what was really taking place in the man's head when he fantasised about Mandela as a Chinese vixen. Still not enough? 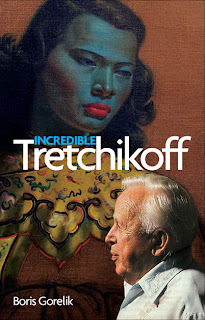 Then see another dozen of most bizzarre and twisted Tretchikoff-inspired pictures!